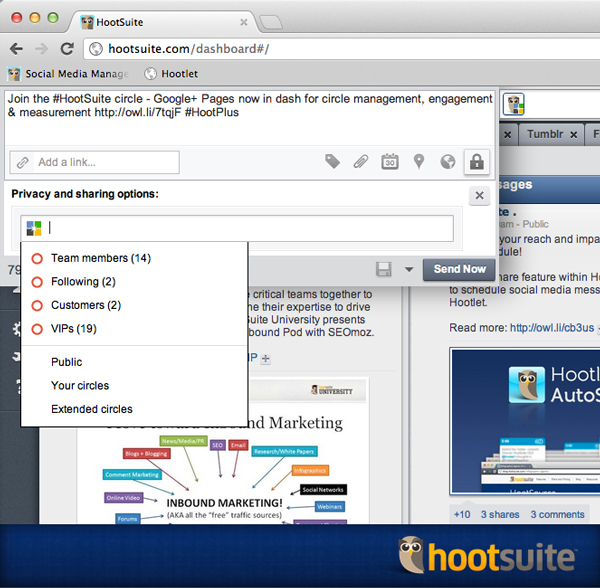 Today *HootSuite announced that Google Plus management will be available for over 5 million users world-wide. With launch of Google Plus for public, now the pages management would be easier for users. Scheduling of Google Plus posts would be possible (which was not possible earlier except for some browser based extensions), filtering of feeds based on keywords, circles management and measurement of results will be easy. Certainly when such options becomes easy accessible the acceptance of channel increases. I hope that soon Google Plus will also release its public API for enabling third party integration for users and agencies.